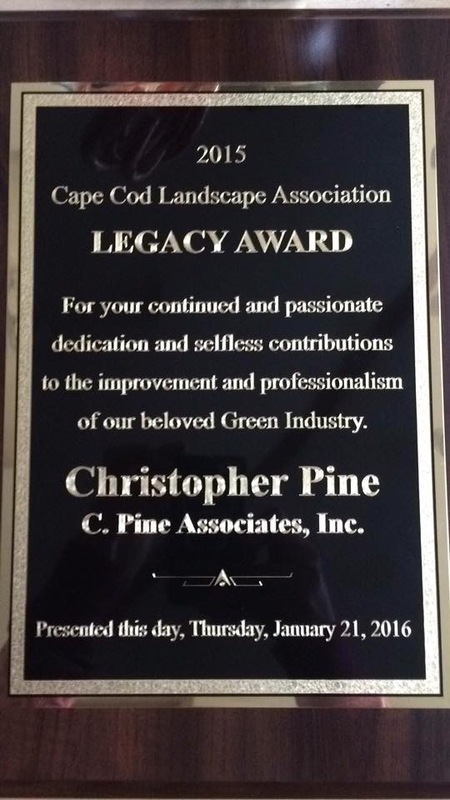 We would like to congratulate president of C. Pine Associates Inc., Chris Pine for receiving 2015 Legacy Award from Cape Cod Landscape Association on January 21st, 2016! Chris’s hard work, dedication, knowledge and expertise has helped and continues to help and inspire many of the green industry professionals. Congratulations, Chris!! !